This Saturday was a first in BSW history as the first and last race on the day for our clients were impressive G1 victories from Private Purchases MIND YOUR BISCUITS and AUDIBLE. 10:40 a.m.- In an unbelievable repeat performance from 2017, Mind Your Biscuits stormed down the stretch late, blowing past X Y Jet and Roy H to take the $2,000,000 G1 Golden Shaheen. Trailing the field early, Biscuits was out of camera view at the 1/8th pole, but surged ahead in 10 impressive strides to stick a head in front at the wire. 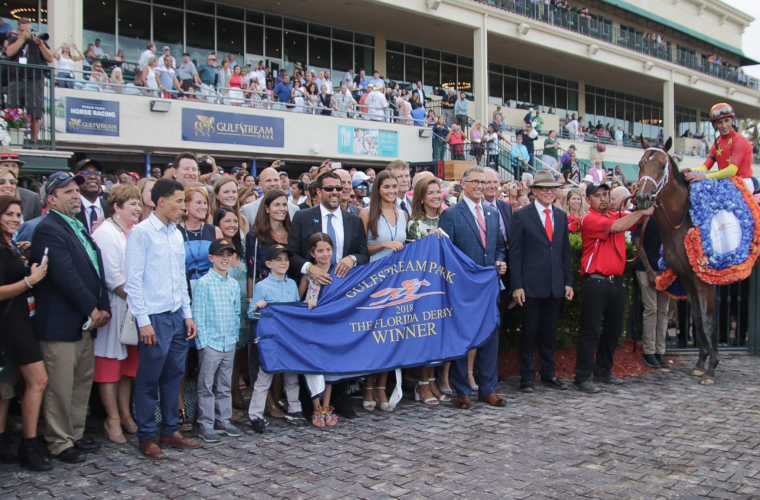 This marks his second consecutive G1 Golden Shaheen victory for trainer Chad Summer and owners Head of Plains, J Stables, M. Summers, and M. Kisber. Mind Your Biscuits was a BSW Private Purchase by Liz Crow in October 2016 for clients Michael and Zach Kisber of Memphis Tennessee and Sol Kumin. 6:36 p.m.- In the final race on the card at Gulfstream Park, Audible lived up to his odds as the 8-5 post time favorite. Stalking the pace mid-pack, John Velazquez made his move on the turn and by the time they entered the stretch, Audible romped home. 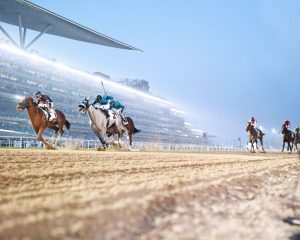 Taking home 100 Kentucky Derby points, he currently sits at the top of the leaderboard guaranteeing him a spot in the starting gate come the first Saturday in May for owners China Horse Club, Head of Plains Partners, Starlight Racing, and WinStar Farm. BSW saw unbelievable success during Gulfstream’s Championship Meet taking home 7 Stakes wins including 5 Graded Stakes Victories (one G1, one G2, three G3s).